Over 200 of the best international designers, 900 new arrivals each week, fast and reliable delivery, excellent customer service, utmost security and data protection, free returns and exchanges within 30 days. Mytheresa is an industry leader in the world of online luxury fashion and retail. For over 30 years the highly successful Mytheresa store cemented its status in Munich as a pillar of style and taste, and in 2006 it widened its customer base globally by launching a small e-commerce extension. Today, over 500 employees work together to create an unforgettable online shopping experience. What makes Mytheresa so unique? An exceptional curation of products from over 200 of the world’s most covetable fashion brands, exclusive designer collaborations, an outstanding customer service team made up of native speakers in multiple languages, and fast and reliable delivery to more than 130 countries across the globe. Every part of the Mytheresa shopping experience has been tailored with luxury and convenience in mind. We are open 24/7, so browse our handpicked and curated range of luxury fashion items from over 200 top international brands – including Valentino, Balenciaga, Miu Miu, and Saint Laurent – at your own leisure. Have a question about fabrication and fit? Simply need some styling advice? Our customer service team is always available to answer any of your questions or queries, or to assist with your free return within 30 days. Make your selection in any of the 130 countries that we ship to, and within 72 hours your purchase will be with you. Our success story began in 2006, at the most exclusive address for designer fashion in Munich. Founded as the online extension of the high successful Mytheresa store, the first offices were situated directly above the boutique. However, it didn’t take long for the business to expand, and today over 500 employees work to create an unforgettable online luxury shopping experience. 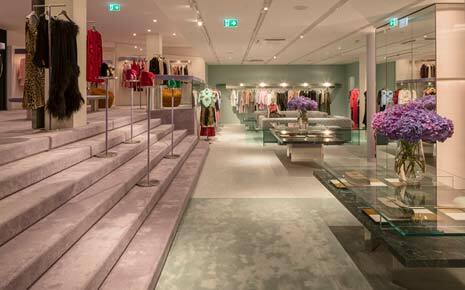 In mid-September 2014 it was announced that the Mytheresa store and Mytheresa had been bought by the Neiman Marcus Group, forming part of an illustrious portfolio while remaining an independent subsidiary located in Munich. 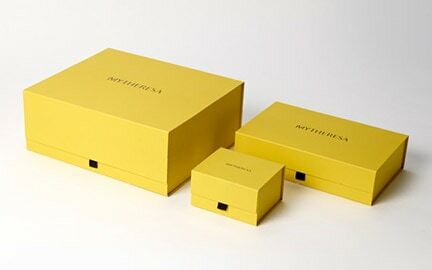 For over 30 years the Mytheresa store has brought the finest edit of luxury fashion to Munich. Through this connection, the Mytheresa buying team has established close relationships with the top tier of international brands. They are always focused on the pulse of fashion, attending fashion shows in New York, London, Milan and Paris each season to ensure that our customers always get access to the newest trends and styles. Our ultra-modern logistics center is located in Munich-Heimstetten, and makes it possible for us to provide fast, reliable, and smooth delivery to Mytheresa customers in over 130 countries worldwide within 72 hours. We prioritize the best possible data protections and online payment security, as well as customer satisfaction. If you are not 100% satisfied with your order, just send it back to us – returns and exchanges are always free within 30 days.